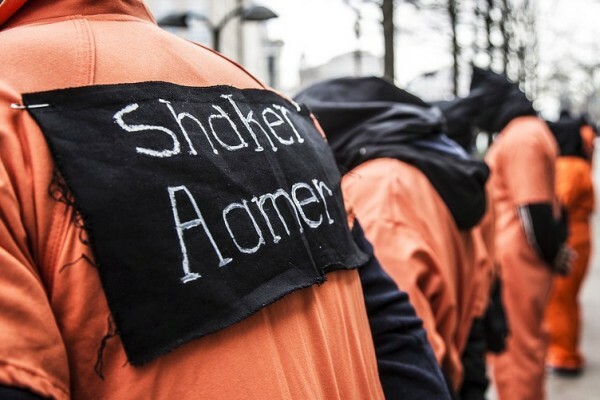 It is my understanding that you have written to the family of Mr. Shaker Aamer in London to assure these good people that you are doing everything to secure Shaker’s release from Guantanamo Bay Detention Camp. 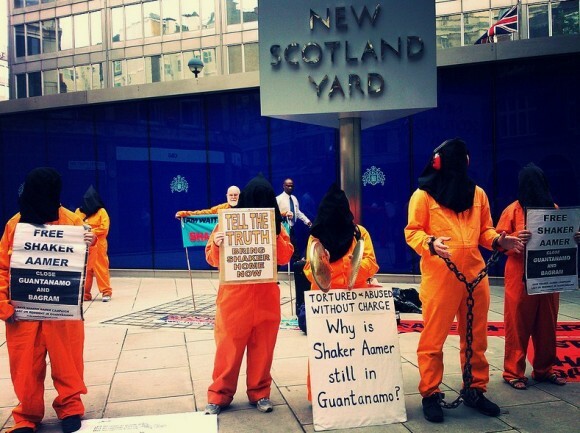 Likewise, the foreign secretary, William Hague, has written to Shaker himself in Guantanamo making similar assurances. 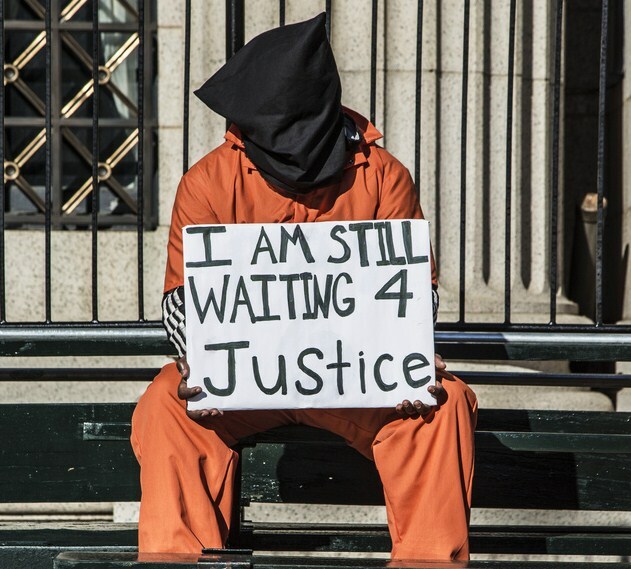 However, many people believe that you and Mr. Hague do not intend to carry out your assurances because of previous torture in Bagram, Kandahar and Kabul. 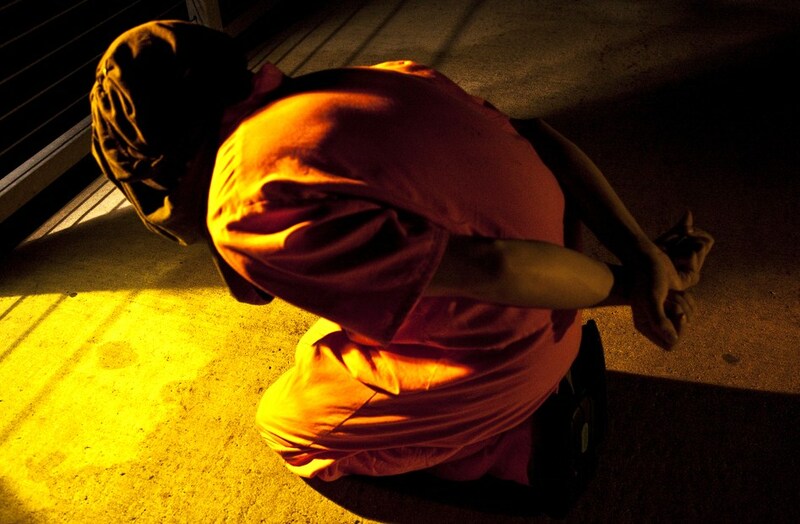 There are claims that United Kingdom security services were witness to some of this torture. We, the UK, are supposed to have a special relationship with the United States. When the US requests the extradition of UK citizens, like Babar Ahmed and Talha Ahsan, our government bends over backwards to comply. Our government, of which you are the head, Mr Cameron, is happy to send an Asperger sufferer and a man beaten up by UK police to US maximum security prisons where more than 90 percent of people detained pending trial confess, often to crimes they did not commit. They confess because of the ongoing torture of being confined in solitary 23 or 24 hours a day without human contact. Plea bargaining is just another name for extracting a confession by torture, which amounts to more torture with our government’s approval. 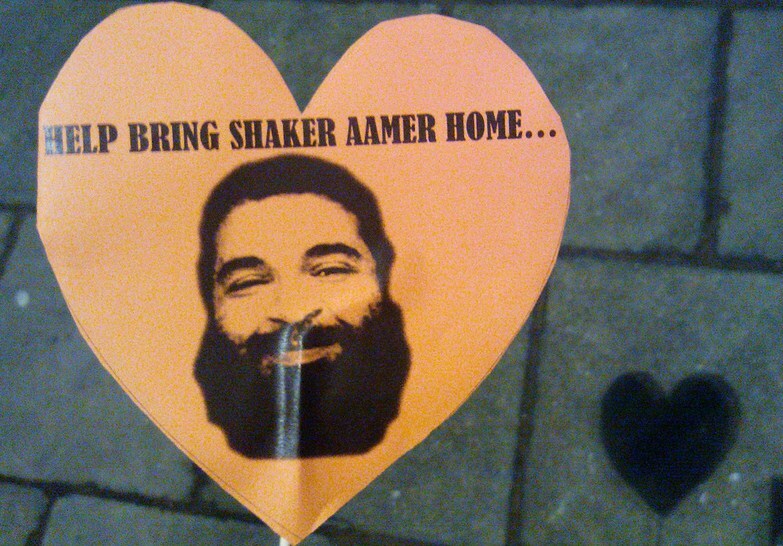 It is basic logic that if you really did want Shaker Aamer to come home you would get on the telephone to President Barack Obama and tell him, in no uncertain terms, that he owes you this at least. Let me put it this way, Mr Prime Minister: Simon Mann, son of an English test cricket captain, was involved in a political coup to overthrow the president and government of oil-rich Equatorial Guinea. In this plot there were others who are so close to the Conservative Party it might seem like I am being provocative in mentioning them: so I won’t. 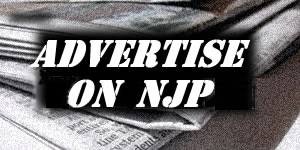 Mann was sentenced to 34 years imprisonment for his part in the attempted coup. But London was able to secure his release after only one year. The difference between Simon Mann and Shaker Aamer is that Mann was actually guilty of the crime for which he was being punished, whereas Shaker is guilty of no crime, and has been “cleared for release” for the last six years. “Cleared for release” is a phrase that appears to have no meaning in terms of action. It is great credit to the UK that Mann’s release was secured. Following negotiations by his friends in London with a country with which we have no special relationship, he was set free after serving just over one year by a president he had attempted to topple. On the other hand, Shaker has been tortured, wrongfully imprisoned, and continues to be wrongfully imprisoned, yet you claim that you are doing everything to secure his release from a country with which we are supposed to have a special relationship. Mr Prime Minister, would you please tell Shaker and his family that the reason he is not wanted back in England, where he would see the eleven year old son he has never seen, is because the torture he has experienced, and continues to experience, would not look good for the UK image? If you had done everything in your power, he would have been home long ago. Are you not the Prime Minister of England, a country capable of getting people like Simon Mann back home from Equatorial Guinea after he and his cohorts tried to overthrow that government? A few hundred people have been released from Guantanamo, though more have died there than have been charged with any terrorist crime. Quite rightly, those released talk about their experiences. Let me recommend to you, Prime Minister, the book, The General: The Ordinary Man Who Challenged Guantánamo, by Ahmed Errachidi (Chatto & Windus, 2013). 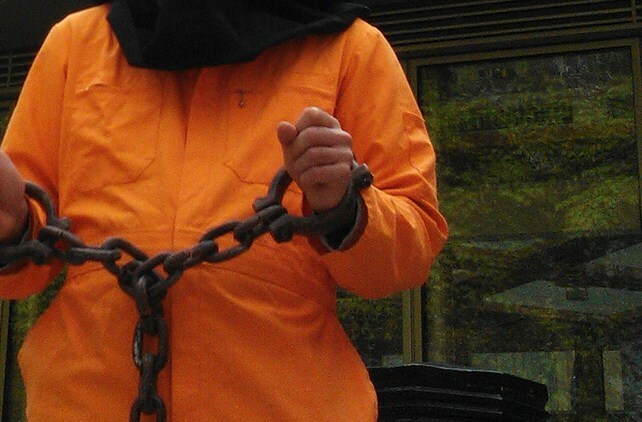 Errachidi was a London cook who was also wrongfully imprisoned in Guantanamo. He mentions Shaker in his book and how highly regarded the man is there for his intelligence. He was a translator in London. 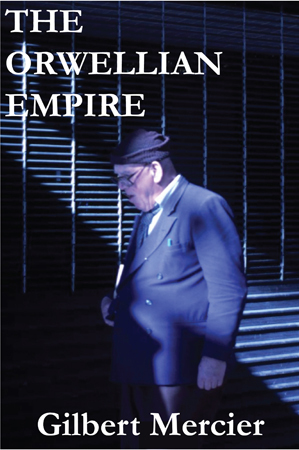 Internees call him “The Professor.” For 12 years, good people have been wrongfully imprisoned and tortured by western countries that were once thought to be acceptably civilized. To mark these 12 years of trans-Atlantic shame, Dr David Nicoll and Mr. Moazzam Begg came to Birmingham to discuss the documentary film “Guantanamo Boy.” Nicoll, a medical doctor, talked from his knowledge as a long-time campaigner against the monstrosity of a prison camp that has been built on a stretch of Cuban coastline, while Begg, a close friend of Shaker, was able to give first-hand experience of what life was like in Guantanamo. For me, it was a most harrowing afternoon. The film focuses on four days of interrogation of a young Canadian, Omar Khadr. It highlights the total lack of concern from interrogating officers who were following a brief from US security services. 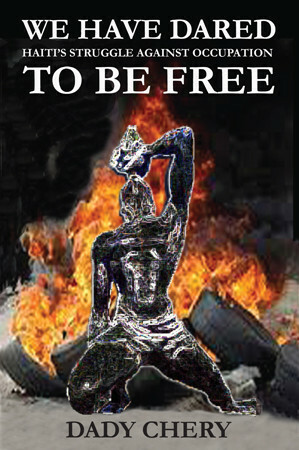 Omar was only 15 years old when he was wounded, arrested, tortured and imprisoned. He asked the interrogator from Canada how he would feel if it was he who was cooped up all that time not knowing when he would next be tortured. The interrogator’s arrogance was something to be witnessed. He did not need to apply his time to what it would feel like to be imprisoned, he told Omar, because he was not in prison. In trying to get the boy to confess, every ploy was used; but the interrogator rubbed salt into Omar’s very real physical and mental wounds by telling him how he would like to learn of the boy’s involvement in the killing of a US soldier, something the boy clearly could not have done, because then he could be playing golf on a Sunday rather than being in stifling conditions asking questions. Interrogation is not like Prime Minister’s questions, where others are allowed to ask questions too. You should have seen this film, Mr. Cameron, because it is an eye-opener. The shame of the west is that Guantanamo, a prison camp established in contravention of international law, still stands. Finally, let me stress that what is needed is action. Nothing will change the fact that UK residents were tortured and wrongfully imprisoned with British complicity. Everybody knows this already. It is better to have this seedy episode exposed, bad though this might be in the short term, than perpetuate the suffering of an innocent man and the last UK prisoner in Guantanamo, Shaker Aamer. Mr Cameron I implore you to do the decent thing. Editor’s Note: Photographs one, four, six, seven and nine by Reclaim Justice. Photographs two, three, five and eight by Justin Norman. 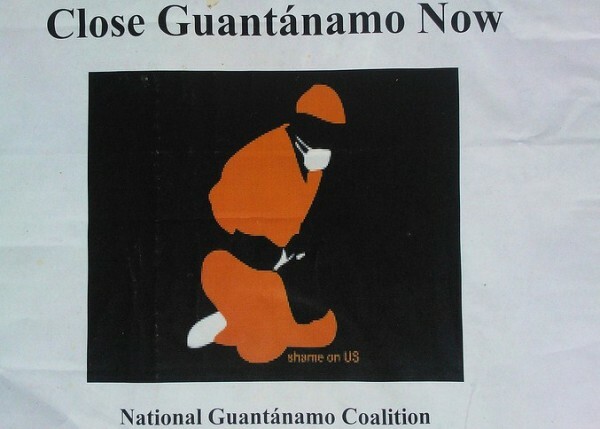 October 4, 2013 Supermax Prisons and Guantanamo: Worse Than the Gulag? Brilliant letter, John. Thank you for writing it. Can you print whatever mealy-mouthed response you get from No 10 (IF you get one at all, that is) as an update? Will do Arbed. But I doubt he will respond. When you write directly to Downing Street, you get a standard letter about the Prime Minister thanking you for your comments. The issues are never addressed. And all the while a good man’s life is being destroyed in a hell-hole abroad, while the Prime Minister, Foreign Secretary and all their cronies down cocktails on board some rich person’s yacht, (well, perhaps not in these storms), or palatial mansion, discussing what havoc can be inflicted on the poor unsustainable earth.